Eyebrow Tip No. 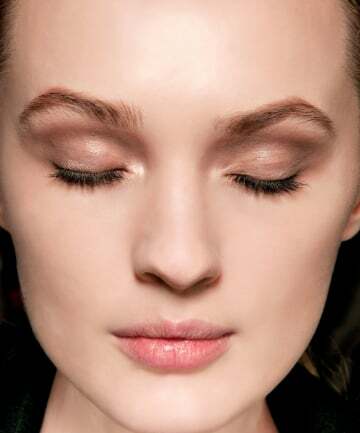 5: Next, Move to the Top Once the arch and tail are filled in, use your lighter brow color to enhance the top of the brow. "The analogy I use is lip liner," says Van Jones. "You want to focus on that outside edge and less on the middle of the brow. That gives you a more natural look and makes the brows seem bigger." The reason for two different shades? "That's the way light naturally falls," says Van Jones. "Lighter on top and darker underneath."